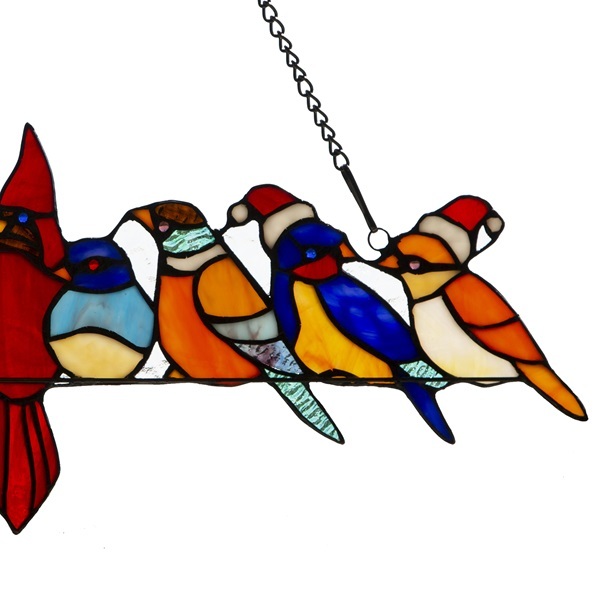 Ho Ho Ho, our Santa birds are coming to town. 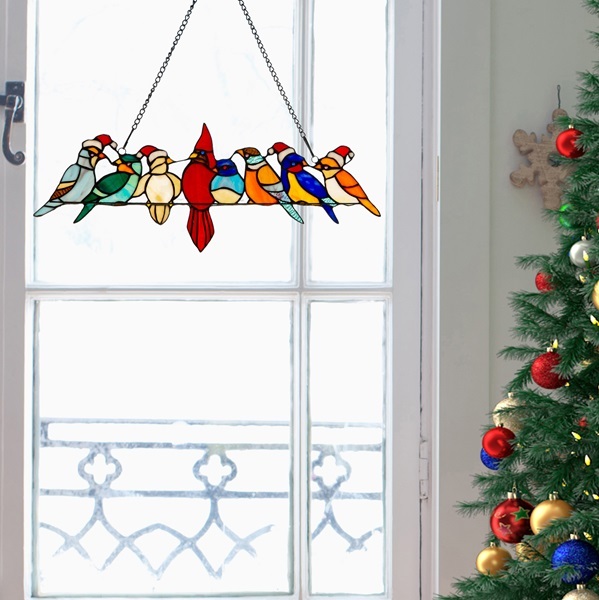 This festive 9"H real stained glass window panel is designed to delight. 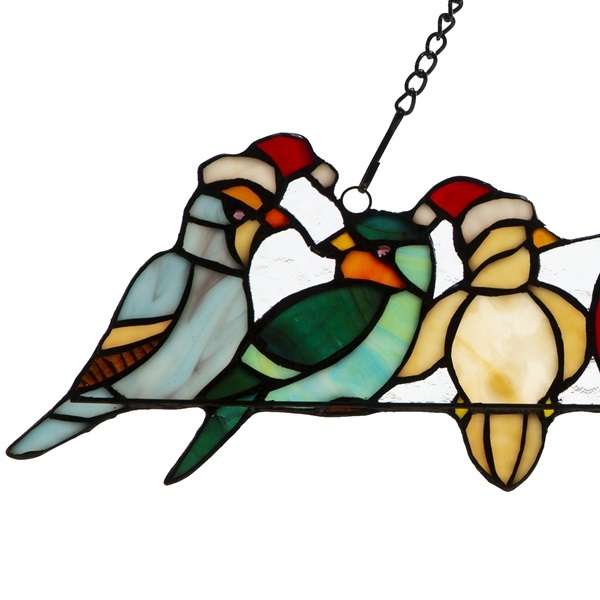 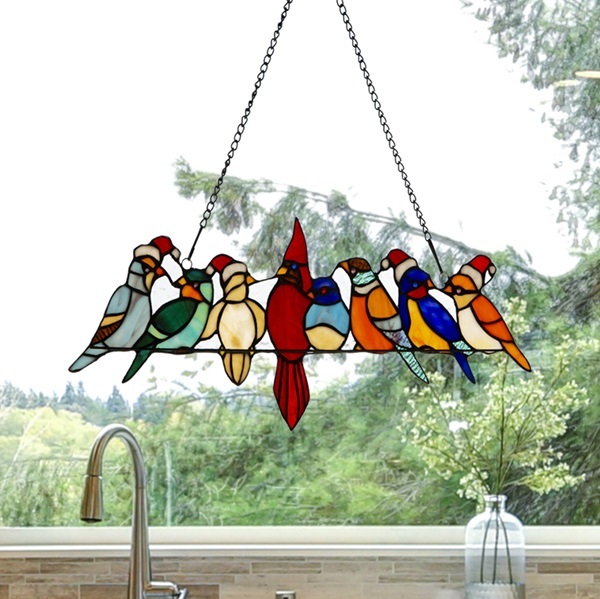 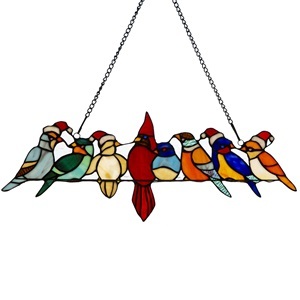 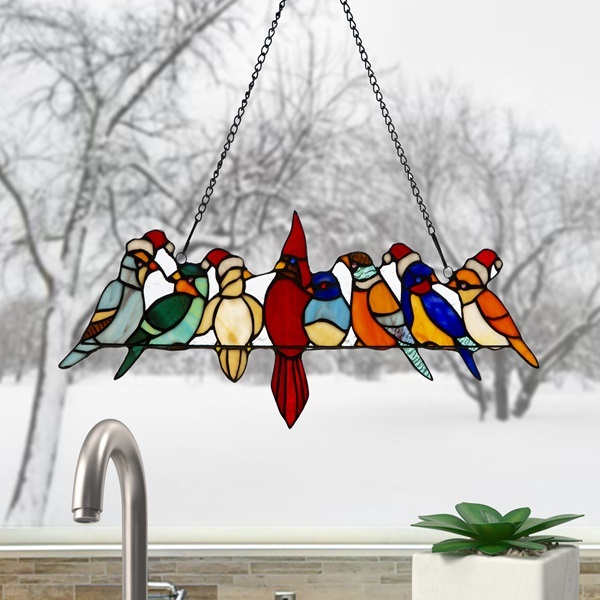 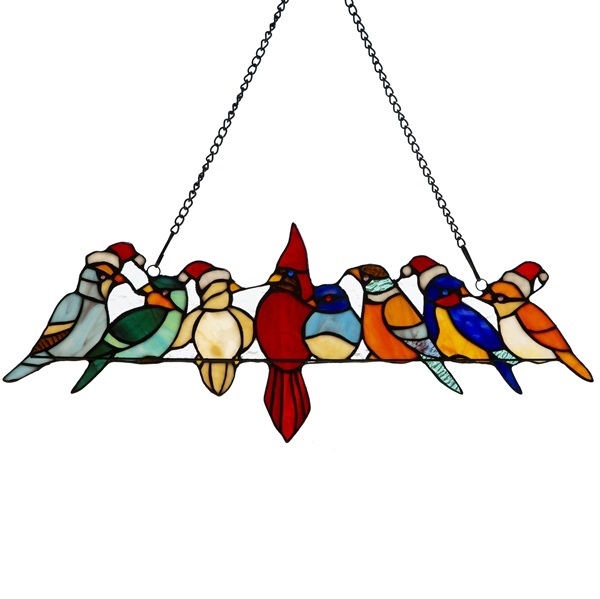 The birds are hand crafted with more than 100 pieces of stained glass and 7 all glass cabochons. 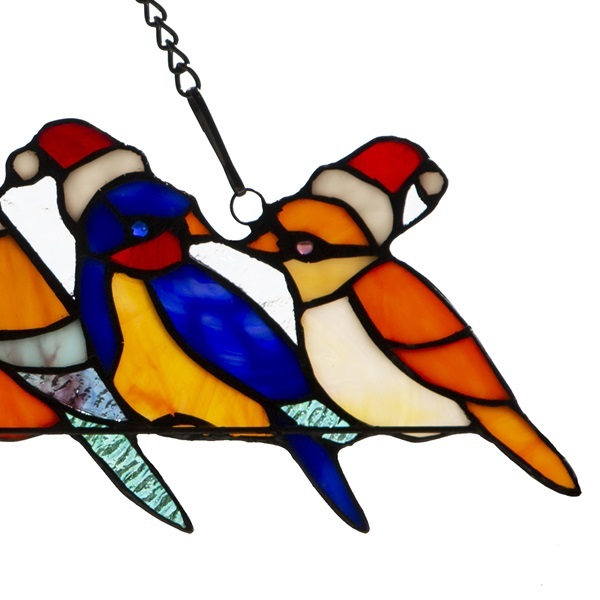 Vibrant colors of red, blue, yellow and oranges are adorned with a red and white santa hat on four of our bird gift givers. 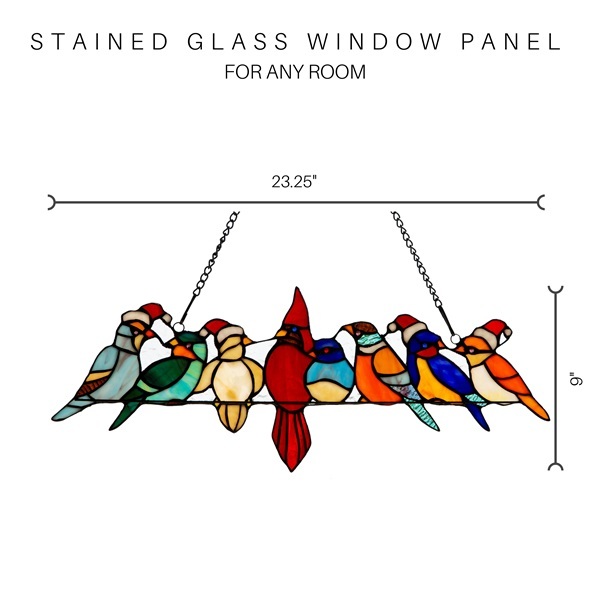 Our window panels include a 30" chain for convenient display options perfect for your kitchen, dining room or family room's decor needs.